This Important Bird Area safeguards one of Florida’s few remaining undeveloped barrier islands. The park is accessible boat; A ferry runs at regular intervals across Hurricane Pass from neighboring Honeymoon Island State Park. This is the easiest way to enter the park, but private boats may also dock at the marina on the northeast side of the island. 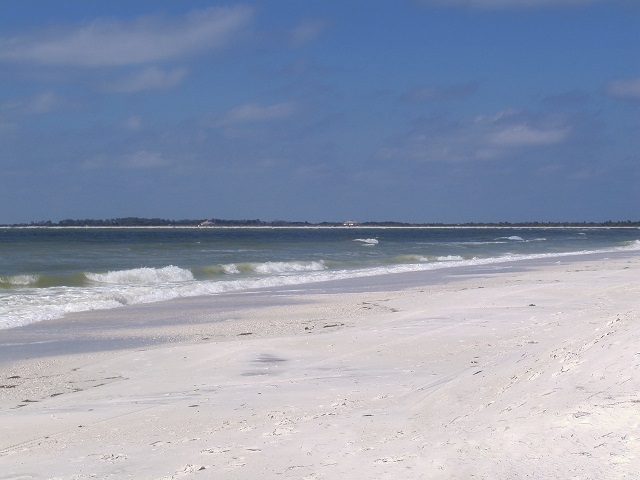 Visitors arriving by ferry (no pets allowed) have four hours to explore the beach and trails. Camping is not allowed on the island, but those wishing to stay longer can dock their private boat overnight at the marina. Beach wheelchairs are available upon request. Enjoy the solitude and walk the 3-mile nature trail southward through the island’s interior. An oak hammock and pine flatwoods can be good for Common Nighthawk and migratory songbirds like Scarlet Tanager, Rose-breasted Grosbeak, Magnolia Warbler and Swainson’s Thrush. The park’s 3 miles of undisturbed beach are home to wintering shorebirds like Red Knot and Piping Plover, plus breeders such as American Oystercatcher and Black Skimmer. A diversity of terns, gulls and waders are also present. Sea turtles nest on the island, and Florida box turtle and gopher tortoise are resident here. From the park’s marina, a 3-mile kayak trail winds through red mangroves on the east side of the island to St. Joseph Sound and back. Guided ranger walks are scheduled occasionally throughout the year (call ahead for details).